Why right now is the lightest you'll be all year | HELLO! Feeling good about yourself right now? You should be, because according to new research you're likely to be at your lightest weight of the year in early October. Yep, despite all those pre-holiday diets and summer workouts, a study from researchers at Cornell University has discovered that right now is when many of us are at our slimmest. But don't celebrate just yet, as your clothes may well be feeling a lot more snug the closer we get to Christmas. 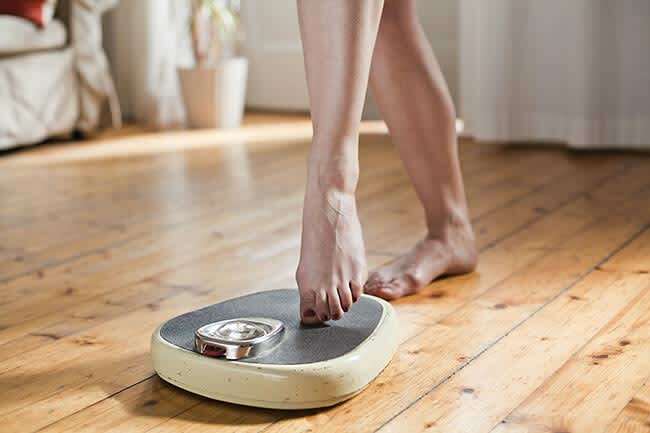 Researchers used data from wireless bathroom scales to monitor 1,800 Americans, 800 Germans and 400 Japanese people and see how their weight fluctuated over the course of a year. Their findings discovered that most people were at their lightest at the beginning of October, but their weight gradually started to creep up around Christmas before they reached their heaviest weight around New Year's Day. Totally understandable right? Those Christmas chocolates, mulled wine and nights out all add up. But the bad news is that it took participants until the end of April to get back to their pre-Christmas weight. A closer look at the data discovered that participants' weight rose in the ten days following Christmas in all three countries. Weight gain was also observed during major holidays in each country – a rise of 0.3 per cent in Japan during Golden Week, 0.2 per cent in Germany over Easter and by 0.2 per cent in the United States following Thanksgiving. If you want to avoid the inevitable festive weight gain, there are a few things you can do – enjoy a reasonable serving of your favourite treats without overindulging, and maintain a regular exercise routine.